Perfectionist Auto Sound & Security are leaders when it comes to the sales and installation of laser and radar detectors. We are proud to be only authorized dealer in Alaska for the K40 Electronics brand of radar detectors. Let’s look at the two main types of radar detector systems – portable and custom-installed. 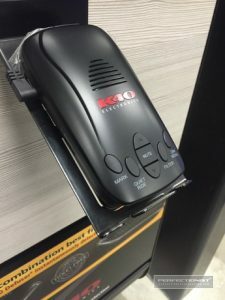 K40 Electronics offers several different models of portable radar and laser detectors. These systems attach to your windshield quickly and easily for premium radar and laser detection in your vehicle. 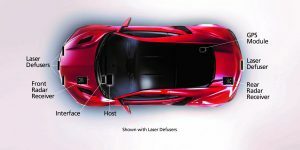 Customizable alerts for radar and laser allow you to fine-tune the system to your environment and driving style. If you go away on vacation, you can take it with you and set it up in seconds. Every K40 portable radar detector includes a hard-wired power plug. We would be happy to book an appointment to conceal the power wiring in your vehicle and the installation. All that would be visible is a power plug that extends from the roof liner – no cords dangling from your cigarette lighter plug. Just ask us for details. If you prefer less clutter or visual distraction, but want state-of-the-art performance, then a custom-installed radar detector system is the perfect solution for you. Our team of award-winning installers regularly attends training directly from K40 to stay on top of the latest techniques and technologies to give our clients the best performance possible. 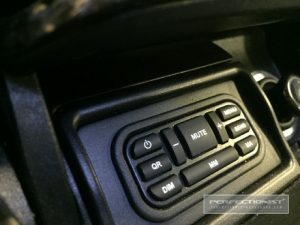 We are experts at automotive wiring, and our fabrication skills make locating radar receivers, laser diffusers, interface modules and GPS receivers not only easy, but some have called our installations artwork. We humbly agree. Why Buy from K40 Electronics and Perfectionist? Being an authorized K40 Electronics dealer means that we have the latest products in stock. There is no chance of getting knock-off or counterfeit units. K40 is a leader in the design and manufacturing of radar detectors. Their engineers work tirelessly to stay on top of new technologies. K40 products include GPS-based false alarm muting, and manage false alarms from traffic flow sensors and adaptive cruise control systems. K40 offers a ticket-free guarantee to their customers. If you are using a K40 detector and get a traffic ticket, K40 will reimburse you for the cost of the ticket. Factory-trained professionals perform all installations. We never rush our work – we do everything right the first time. K40 offers a 100% performance guarantee, 100% quality guarantee and 100% anti-theft guarantee. Buying from an authorized brick-and-mortar retailer like Perfectionist qualifies you for these guarantees. If you ever have questions about your radar detector, K40 offers 24 hour a day, seven day a week customer service. You can call them at 1-800-323-5608 anytime – day or night. 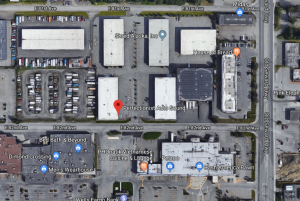 If you are looking for the best radar and laser detector products and the best service and installation in Anchorage, Alaska, drop by Perfectionist Auto Sound & Security, or contact us here.